Laser Graffiti, a mobile digital projection system, will once more illuminate façades in Vancouver, BC, Canada this summer. Art created by the people, for the people, will blazon concrete, brick, and stucco walls in the west coast city. Such technology creates an array of possibility in the transformation of public spaces. It can incite dialogue and connect people through creativity. Just check out Crown Fountain at Millennium Park in Chicago. Or imagine re-visioning a speaker’s corner — an innovative group of people in Detroit recently did. Broken City Lab marched through the street armed with a marker, a Bristol board, and an overhead projector. “We wanted to demonstrate what public process can look like — how dialogue can unfold in a public way.” They brainstormed all sorts of ideas, from pedestrian-accessible developments to more green spaces, and then projected them onto the wall of City Hall. 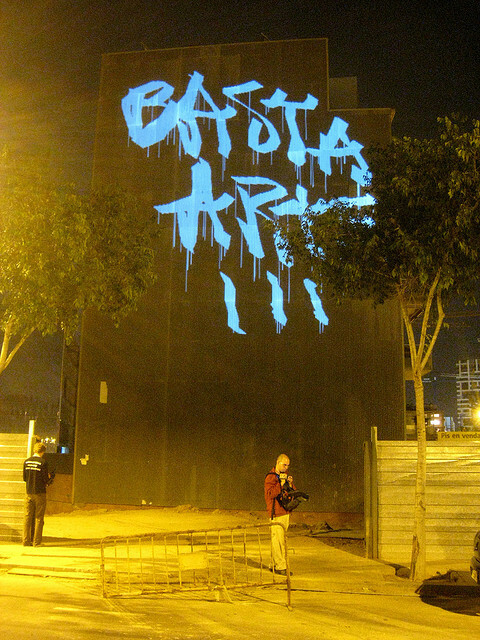 What about projecting poetry onto the side of a bank? As Federico Fellini, the 20th century tidal wave of creativity said, “Money is everywhere but so is poetry. What we lack are the poets.” He was a master at weaving dreams together with reality. 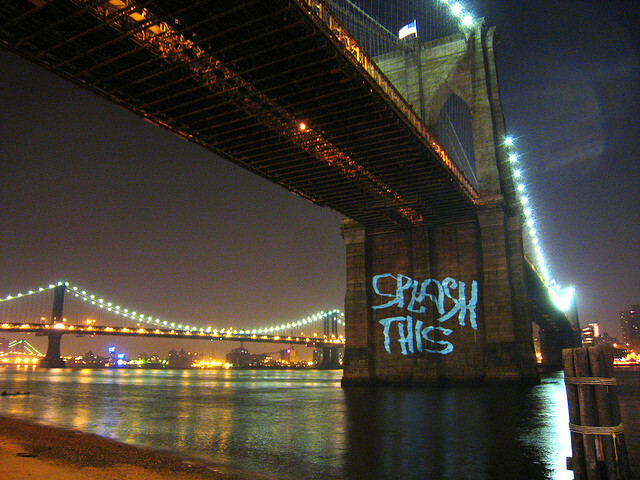 What is your take on projector art or laser graffiti?